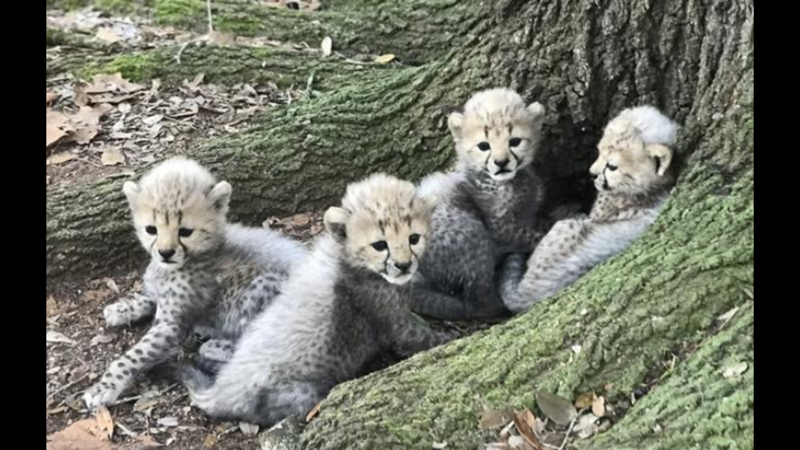 Three of these four cheetahs were recently born at White Oak Conservation. Photo: White Oak Conservation. 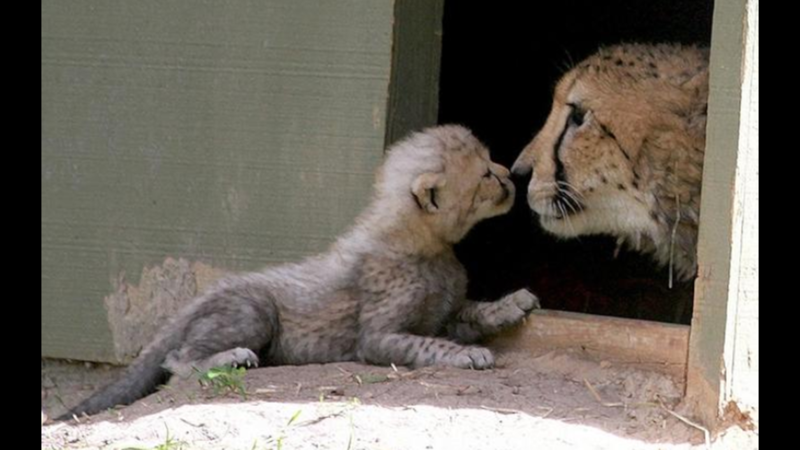 One of four cheetah cubs shares a tender moment with mom. Photo: White Oak Conservation. 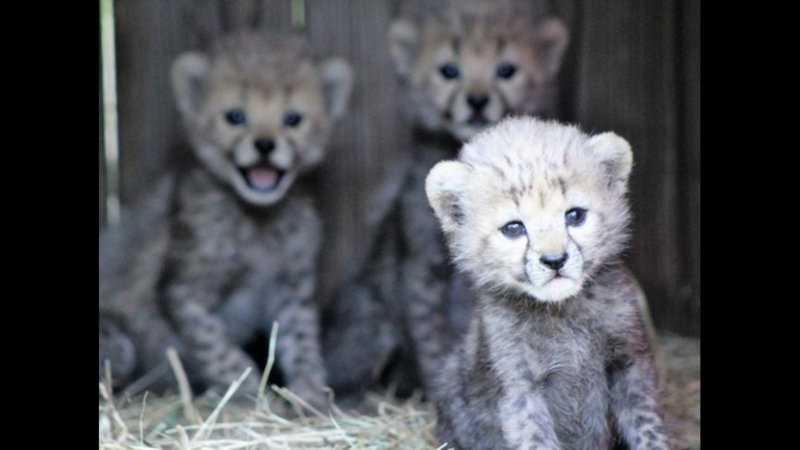 These four cheetah cubs were exploring their surroundings after recently being born at White Oak Conservation. Photo: White Oak Conservation. 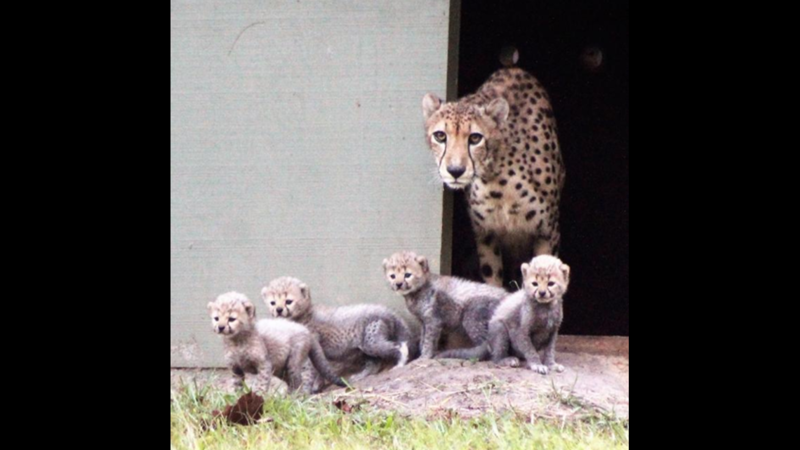 Oronsay takes her cubs out to explore at White Oak Conservation. Photo: White Oak Conservation.